I would definitely hire Rockwood again. 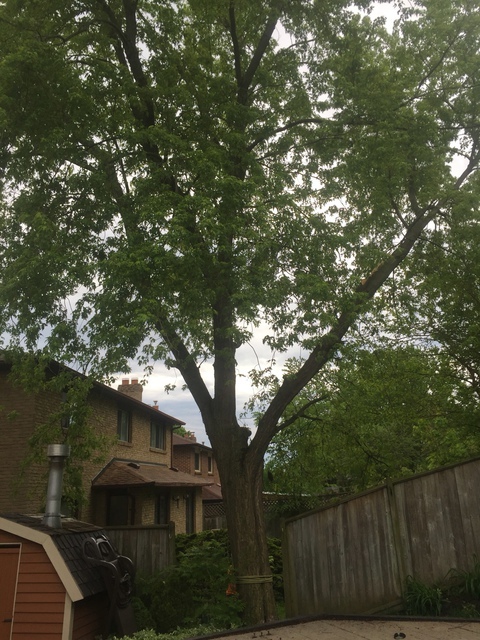 Dylan, Fred and Jacqueline did a top-notch job of trimming and disposing of large branches from our Manitoba Maple in cramped conditions in the Beaches, working around multiple telephone wires. They did a great cleanup job afterwards. The entire job took less than two hours. Thanks team! Good to hear Drew! We understand how unruly Manitoba maples can get. We were happy to be the ones to take care of it for you! I had some issues with the City about cutting down a dead tree. Dylan coordinated with the City, got their go-ahead, (great load off my mind!) and cut down the tree. Work was incredibly fast, took only 75 minutes. They fully cleaned up, mulched right there, no mess anywhere. Dylan was very courteous and helpful, and price was very reasonable. Would not hesitate to use them again, and recommend them highly. Great to hear you were happy with our services! Always willing to coordinate with the city when needed. Dylan and his crew were fast and efficient in pruning our historic Red Oak located here in The Beach area of Toronto. 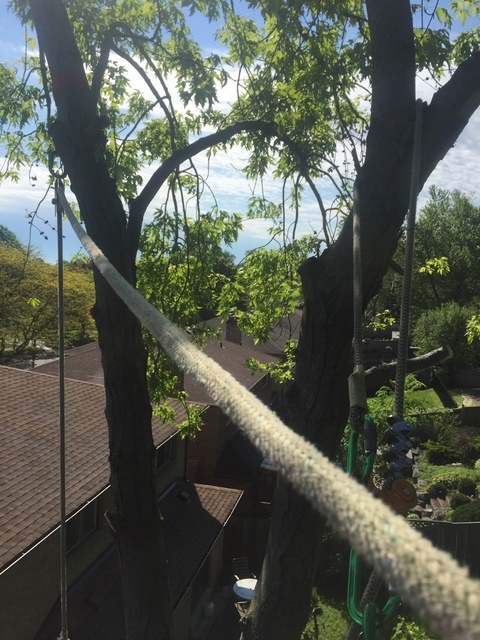 At almost 100 years old it is very large and for certain has been a daunting project for another tree company that I contacted - they were really intimidated by the scope of work. This was not the case with Dylan and Rockwood Tree! They were very professional, fast and did a full tidy up as well. Outstanding! Glad to hear you were happy with our services. We know just how dangerous those large oak trees can be, especially in The Beach area. Robert was pleasant to deal with, the price was reasonable, and the work was done as requested, at the scheduled time, with complete clean up afterwards. I would not hesitate to recommend this company to anyone looking for tree removal services. Glad to hear you were happy with our services Janet! We always aim to complete our jobs in a timely manner. Always looking forward to working with you in the future! 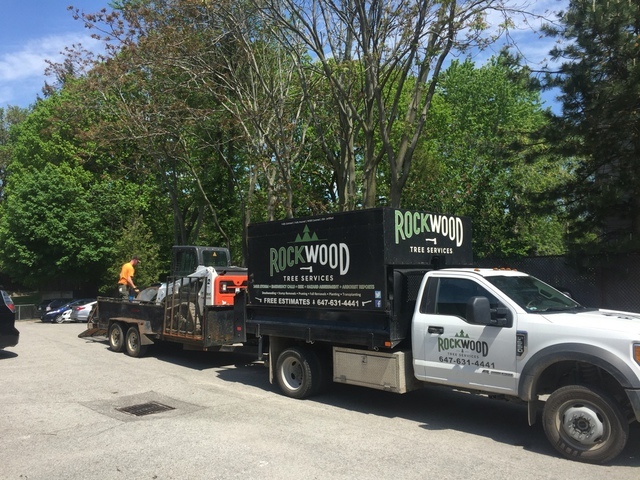 I want to thank the team at Rockwood Tree Service for doing a fantastic job of taking down the old spruce tree in my backyard. The team was extremely responsive right from the quotation and providing me with all the information necessary in taking it down. I also have to commend the team for working in 30+ degree weather and getting the job done. Thanks a lot guys!! I would definitely recommend Rockwood Tree Services. We had a damaged tree from several storms. The ice storm in April 2018 enhanced the damage and then several windstorms caused uproot of the tree. Robert came and assessed the damage, took pictures for municipality and deemed the tree a public hazard. Robert and his crew are a professional team, they prepped and cleaned up after the job. And, due to their amazing service our neighbour hired them to clean up the trees on his property. Thanks! We're happy to hear you were satisfied with our services. Always here to help! Rob was able to schedule emergency removal of a large damaged tree on my property that was at risk of falling over onto my fence and my neighbors property. The crew arrived on time and were professional and personable. They quickly removed the tree with no damage to the property. They removed the cut tree and then did a great clean up job on my yard as well as my next door neighbors yard. Would definitely recommend Rockwood! Glad to hear you were satisfied with our work Connie! Our 24hr emergency service is #1 priority, and we're glad we were able to help out in time. Should you need us for anything else, you know where to find us! I had a 35 year old partially uprooted pine tree that required immediate removal. I searched for local arborists and found Rockwood. I called Dylan first thing in the morning, and Robert came by to do a site assessment and estimate. Their fair pricing and prompt service made me confident in hiring them. The next day the entire crew came by and it was like seeing old friends! Genuinely cordial and courteous team! They strategically and safely took down the tree, removed the stump, and tidied up the work area. These guys work fast!! I will recommend them to family/friends and will use them again -- Rockwood definitely has a spot in the Rolodex! It was a pleasure working with you Pierre! 24hr emergency service is our #1 priority; we were more than happy to help. Looking forward to working with you in the future! 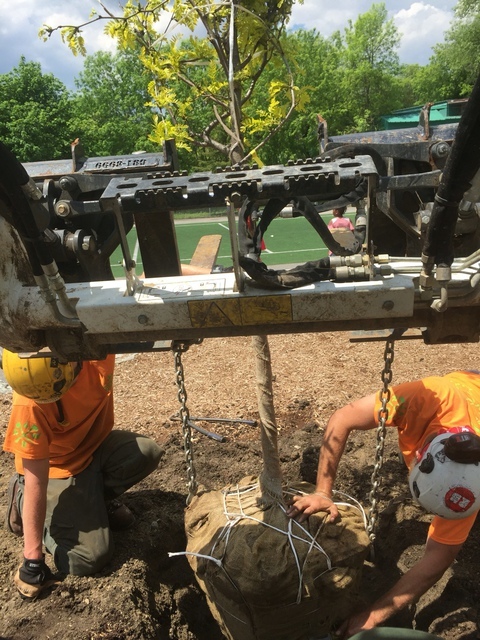 We hired Rockwood to remove a diseased sugar maple. They were very professional and super friendly. They did a great job taking down this massive tree. 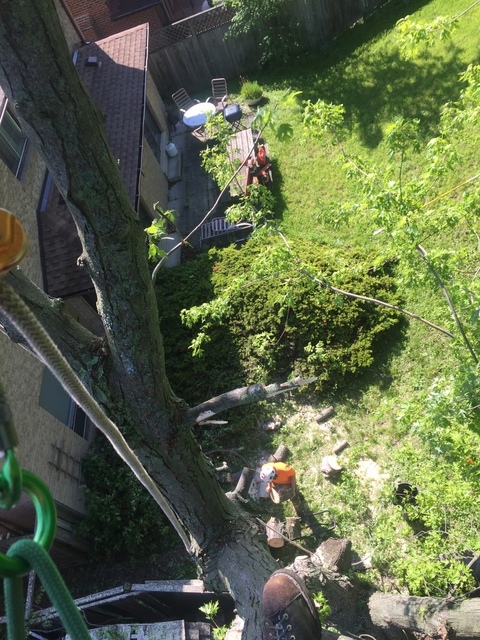 I was referred to Rockwood by a friend and would recommend them to anyone needing tree work. I would use them again. We're happy to hear that! Always looking forward to working with friends and family of previous clients. Feel free to give us a call 24/7! 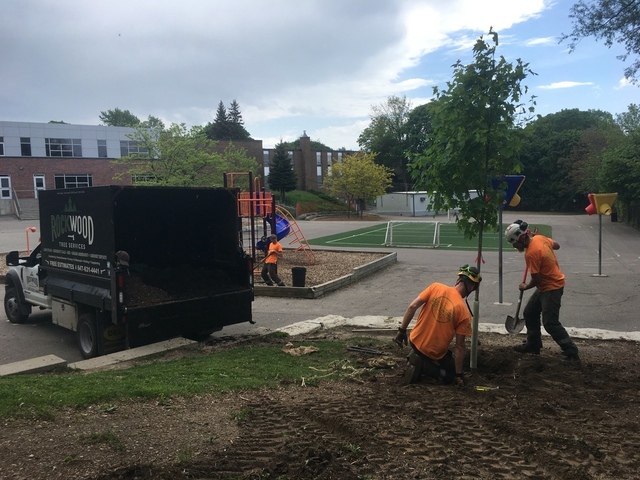 Rockwood removed a dead Maple tree from my parking area in November 2016. They did a slick job and left the area clean after grinding the stump out. 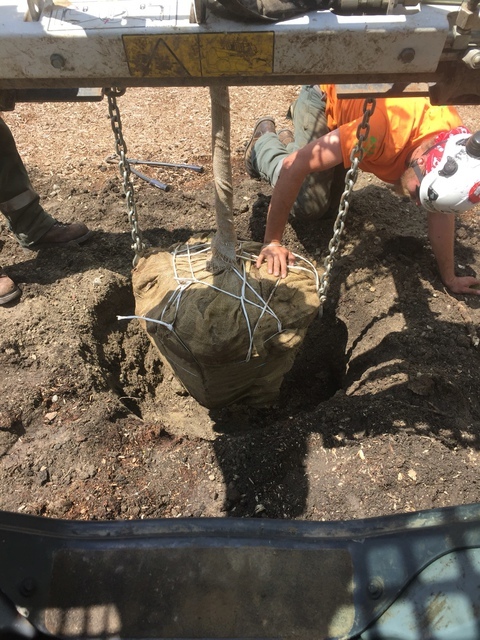 They mentioned that the grade was a bit high and if I wanted the stump ground lower, call them and they would come back. My experience with contractors coming back has not been good but I said OK. I finally started to modify the grade to my liking and I called them in early October 2017, almost a year later, to come back and grind the stump lower. Robert cheerfully came back and ground the stump down to my liking. Super service, beyond expectations. I wish I had more work for them. Glad to hear you were happy with our services Jeff! Always looking forward to working with you in the future.